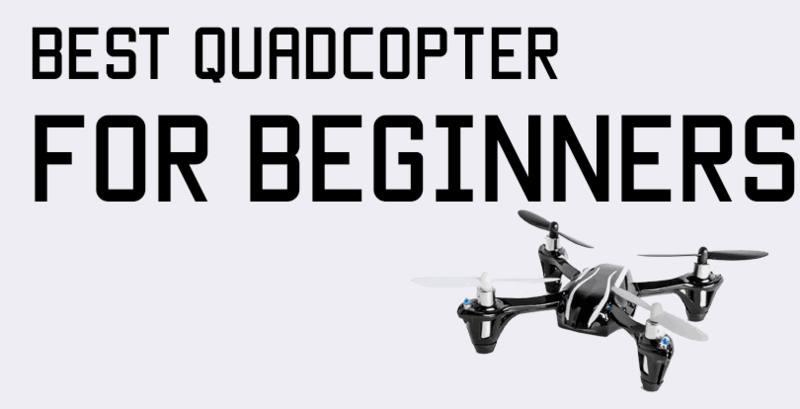 I was browsing through Banggood’s new releases a while back and came across a really interesting product – the Racerstar Tattoo 30A BLHeli_32 ESC and FC combo. I was excited about this kind of board, because it puts everything you need in a single board, so you can do a really tight, flat build using small standoffs. It should also speed up the build time, because there is very little soldering to be done. The one issue I do see with such a board is that even if a single ESC dies, the whole thing becomes useless. That’s by far the biggest advantage of having separate components. But since this was an F4 board with BLHeli_32 ESCs for such a good price point, I figured I would give it a shot. The folks at Banggood were kind enough to send it over, and I decided to install it on my build with the Rotor Riot HypeTrain motors. 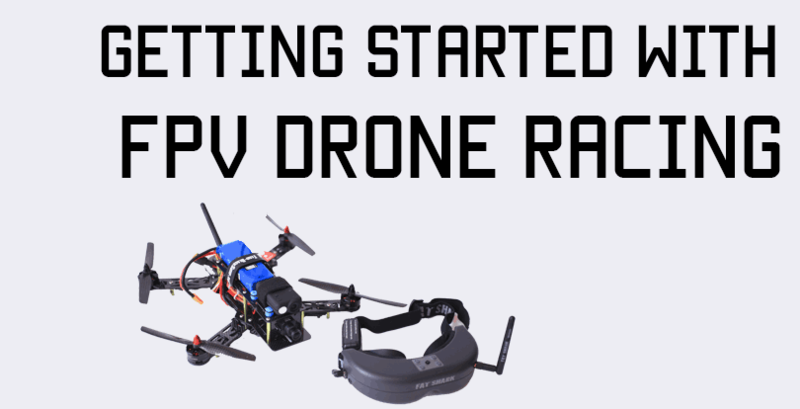 I received the package in about 20 days, and started building the quad up. If you are going to mount the FC in it’s proper orientation(arrow facing forward), the USB port faces the front of the quad! With an FPV camera installed, the USB would be impossible to access, and you’d have to remove the camera every time you wanted to plug the board into your computer. This is a huge issue and made the build a lot more complicated than it should have been. At the front of the board, near the USB, there are solder pads for 5V, GND, Video Out, Video In, 5V, GND, GND, 5V, and SBUS. These are conveniently placed, but the only outputs available are 5V – there are no 12V outputs anywhere. 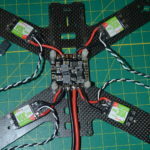 I had to wire up the FPV camera and video transmitter to the main lipo lead. I wired the ground to the pads at the front, as I suppose those are filtered ground pads. I thought no big deal, I’ll flip the board around and remap the resources in Betaflight to make the motor orientation the way it should be. I wired up the board with the motors, and plugged it into the computer to see what firmware it was on. It turns out the board was on 3.1.7, and the target was some strange board called VGOODFLY or something like that. 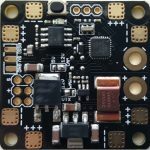 Since the board is so uncommon, Betaflight 3.2 was not available for it! I remapped the resources in the current version of Betaflight I had, and opened up the BLHeli Configurator Chrome app to change the motor direction. Turns out that BLHeli_32 ESCs are not supported by the Chrome app. I then installed the BLHeli_32 configurator, and it turns out that you can’t use the FC passthrough for configuring BLHeli_32 ESCs unless you are running Betaflight 3.2! Dead end! After a bit of searching online, I found that the board also takes the LUXF4OSD target, so I flash Betaflight 3.2 using that target, and am able to change the motor direction through the BLHeli_32 configurator. Strangely enough, I had to reverse the direction on all the motors. I wired all the motors up straight, no crossed wires. Even then, all the motors were spinning in the wrong direction. Maybe this was because I had to flip the board around, I don’t know. After a lot more hours building than I care to admit, I finally got it working. Woohoo! 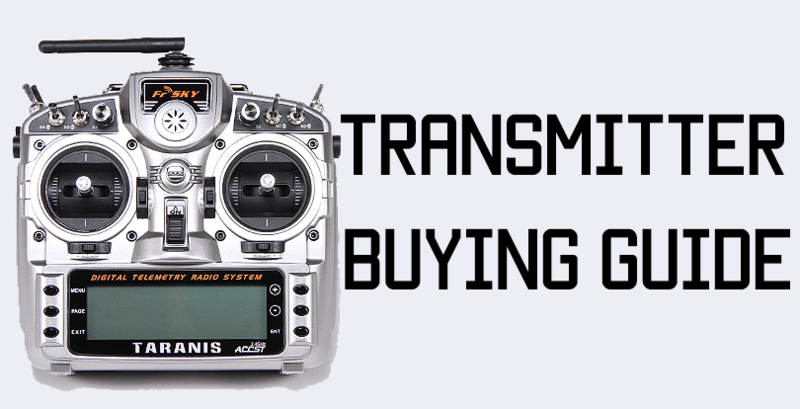 There are also two more UARTs you can use to hook up other peripherals like Bluetooth, GPS, and so on – though for most racing quads, you’re not going to need any of that. I’ve got to say, I was really disappointed with this board. After such a hassle to set up, the amp and mah counter did not work. Not only that, but for some reason, the roll axis was too sensitive, as you can see in the video below. The pitch axis was fine! I was flying my usual rates, and I would roll nearly 1.5 times faster than I normally would on any other quad. At first, I thought maybe the rates were too high overall, so I tried doing a flip. Flips were normal, at the degree I was used to. Rolls were out of control! I then tried lowering the rates all the way down to stock Betaflight 3.2 rates – still the same, the roll would be super fast. I suspect it is an ESC issue. Since the ESC and FC are a combo package, there’s no way to fix this issue! Not sure about what you means for the ground filtered on front pads. I think it would have been better to put both power at the same position, and a cap if needed. I want to hook a runcam split uart and a smart port VTX OSD. (The Rx is on sbus Frsky, I will try to use telemtry from the board also). I have exactly the same behaviour with asymmetric pitch and roll-rates. Totally unflyable. In standard orientation the pitch rates are easily two times that of the roll rates, with identical settings in Betaflight for both axes. Same for BF3.2 and 3.3. BLHeli32 as out-of.the box (I think 16.0) and updated for DShot-commands (again, I think 16.4). Rotating 90° to allow easier access of USB-port results in excessive flip-rates while pitch-rates are correct. I have two TattooF4’s, same behaviour on both. Honestly, I think it’s a manufacturer defect. Though there are some good reviews of it on Banggood, so you never know. I just threw it into my smoked parts box and used a different set of ESCs and another FC. The stock settings are the same as betaflight defaults. If you moved anything around, you’ll have to remap the resources. This is my first 100% own build and I don’t want to burn anything by doing something stupid.